Florence Apartments Home Feeling offers accommodations throughout the area in Florence. 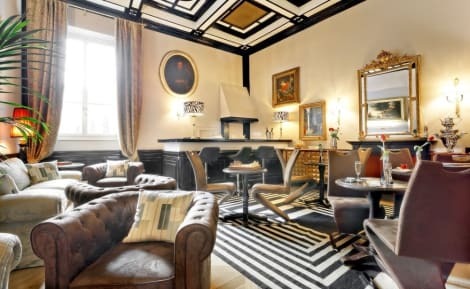 This charming hotel is set in Florence. With a small number of only 11, this accommodation is very convenient for a quiet stay. Relais Piazza Signoria is not a pet-friendly establishment. 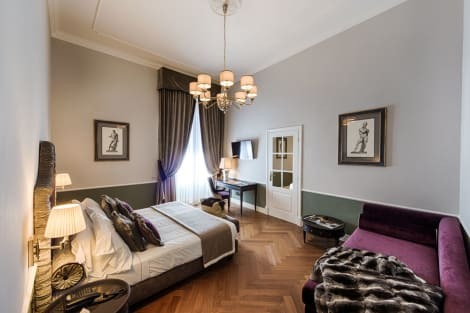 With a stay at Palazzo Roselli Cecconi in Florence (Santa Croce), you'll be steps from Basilica of Santa Croce and 6 minutes by foot from Palazzo Vecchio. This property is 0.3 mi (0.5 km) from Uffizi Gallery and 0.3 mi (0.5 km) from Piazza della Signoria. Make yourself at home in one of the 18 individually decorated guestrooms, featuring minibars (stocked with some free items) and flat-screen televisions. Your memory foam bed comes with down comforters and Egyptian cotton sheets. Complimentary wireless Internet access keeps you connected, and satellite programming is available for your entertainment. Bathrooms have complimentary toiletries and bidets. This is a splendid property in a quiet location within the heart of the city centre. Please note Car parking is chargeable to be paid directly to the hotel and usually the change is about 25.00 Euro per day. Swimming pool usage is Euro 8.00 for audults and Euro 6.00 for kids to be paid directly to the hotel.